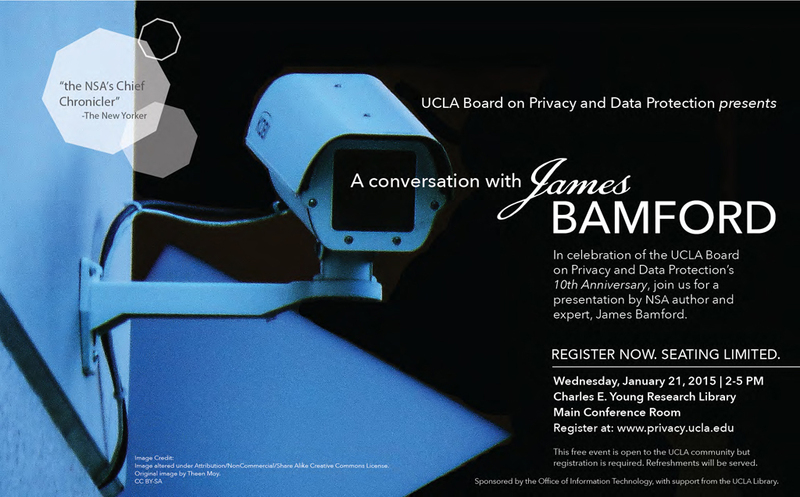 In celebration of its 10th anniversary, the UCLA Board on Privacy and Data Protection invites you to a presentation by James Bamford, author, journalist, and documentary producer dubbed The N.S.A.’s Chief Chronicler in a New Yorker profile. Author of four national bestsellers on the NSA and the intelligence community, Bamford wrote the September 2014 WIRED magazine cover story on Edward Snowden (see this powerful 3-minute video clip in which he and photographer Platon speak about this experience). Bamford is now working with NOVA on a documentary on cyber warfare for which PBS just released the interview transcript with Snowden. This free event is open to the UCLA community, but seating is limited and registration is required. Refreshments will be served. 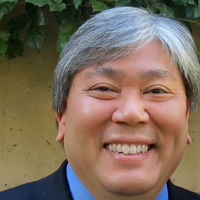 This event is sponsored by the Office of Information Technology, with support from the UCLA Library, as part of the campus’s activities surrounding international Data Privacy Day. ← Of course we can … but should we?